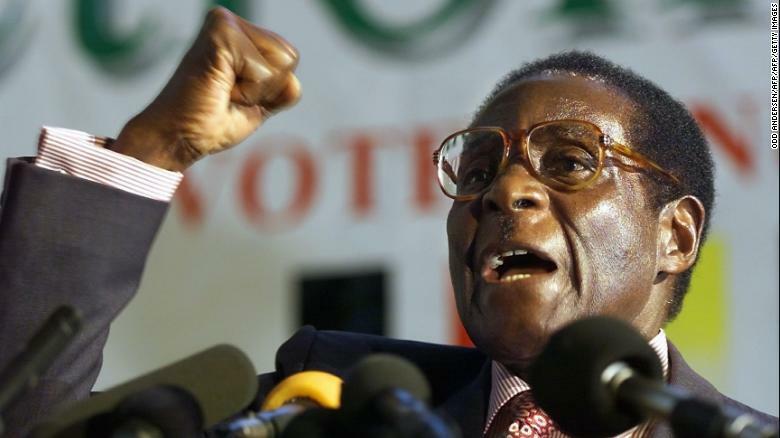 HARARE, Zimbabwe – Embattled Zimbabwe President Robert Mugabe was warned to ‘leave the country’ at a press conference in the capital Harare on Friday held by the influential chairman of the war veterans’ association. This comes as the long-time president of Zimbabwe has been experiencing house arrest and rumors of a coup after the military began moving around key positions in Zimbabwe’s capital, Harare, days ago. Mugabe however recently made a public appearance and appears to not step down as president for the present moment. The military claim to have conducted a soft coup to remove the bad elements surrounding and influence Mugabe. PHOTOS: Putin as a winged bear: the strange thing we will see in 2017?